Like many people in the Be My Eyes Community, Diane learned about Be My Eyes from some of her friends and uses it for day-to-day tasks like setting her washing machine to the right setting, sorting out her groceries, and checking if her clothes match. 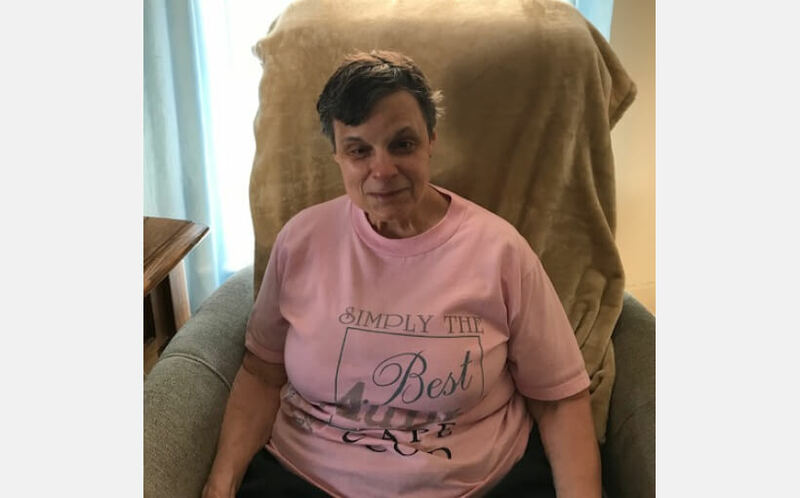 Having the app in her back pocket means a great deal to Diane, even if only for quick questions or small tasks, because it frees her of having to rely on friends or family if she ever needs sighted assistance. Before incorporating the app into her life, she remembers being frustrated about not getting things done, but now she feels more independent and better-equipped. Be My Eyes has made me feel so much more independent in knowing that I have a sighted person just a phone call away. Even words do not express how grateful I am to have access to your service. One particular experience that really stands out to Diane, was when a volunteer helped her find her lost cat. Diane came home one day and realized her cat was nowhere to be found. She was extremely worried and started to stress about how to go tackle the problem. Diane decided that Be My Eyes was best suited for the job, so she opened the app. A friendly woman answered her call and helped Diane stay calm. Together they searched for the cat; The two of them combed through nearly the entire house until finally discovering the cat’s hiding place - in the corner underneath Diane’s bed. Diane was so relieved to find her beloved pet, but it was the volunteer’s willingness to console her that she appreciated the most. She was unbelievable, I really commend her so much for being so kind and so helpful. Putting trust into a stranger’s hands, can be daunting, but with Be My Eyes volunteers who shows such great kindness, it is not so scary after all. Even situations like this, that make a person feel panicked, are no match for a helpful pair of eyes and a go-getter attitude. While it may be true that Be My Eyes is most commonly useful for daily tasks or run-of-the-mill issues, bigger challenges like Diane’s are not out of the question and solving them is as simple as a phone call.